Pak Mail Mt Pleasant can ship to just about any country in the world. Our staff here at Pak Mail are experts in international shipping and it is our goal to make the process easy for our customers. We take care of everything from packing if needed to any documents required to make your package sail through customs. We are an authorized DHL Shipping Center for Mt Pleasant and the surrounding area and can offer service to over 220 countries with reliable tracking and have a daily pick up. 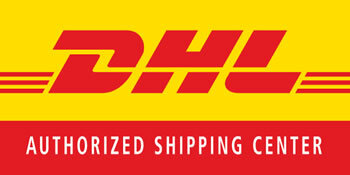 DHL picks-up at our store Monday through Friday after 3:00 p.m.
We also offer alternate international shipping solutions through UPS authorized and FedEx authorized shipping. We can compare rates and transit times to meet your needs.